If your proposed LED lighting improvements are not available under the Prescriptive Lighting Incentive program, the Custom Lighting Incentive program may apply. The following guidelines will generally apply. Exceptions will be handled on a case by case basis. All replaced or retrofitted lighting equipment must be permanently installed. Only lighting systems in existing facilities qualify for the upgrade. Existing premises have previously received permanent, electrical service for twelve (12) months or more. New construction or the facility additions do not qualify. The NPPD Energy Efficiency Consultant must sign the application form and return it to the customer and/or electric utility. Utility personnel must perform a visual verification of equipment at the conclusion of the installation and confirm the documentation provided by the NPPD Energy Efficiency Consultant. In the event variances in the newly installed equipment occurs, (i.e. - , description, quantity, wattage, operating hours) utility personnel will contact the original supporting Energy Efficiency Consultant so that modifications to the original calculations can be completed and a revised incentive can be determined. An incentive will be provided to the person responsible for the utility account after the equipment is installed and operating. No incentive(s) will be paid without the completion of the application form. The application form must then be signed by the owner and installing contractor (contractor signature may be waived if pre-printed receipt(s) and/or invoices clearly indicate professional installation). ALL CUSTOM INCENTIVES MUST BE APPROVED BY AN NPPD ENERGY EFFICIENCY CONSULTANT PRIOR TO ANY REMOVAL OF THE CURRENT SYSTEM. After the proposed system installation is completed and operational, the completed application form will then be submitted to the electric utility for processing. Sales receipt(s) or invoice(s) itemizing the new equipment and indicating the size, input wattage type, make, model, purchase date, and vendor must accompany each energy efficiency incentive application. All lighting incentives require upgrading to light-emitting diode (LED) technology. Application to Custom Lighting Incentive program cannot be made if the proposed lighting improvements are available under the Prescriptive Lighting Incentive program. The incentive payment or account credit to the owner will come directly from their local electric utility. NPPD reserves the right to do random spot checks of the performance verifications to ensure program compliance. Participating electric utilities are wholesale customers of Nebraska Public Power District. NPPD will make final determination of program compliance decisions and reserves the right to cancel the program with 30 days’ notice. 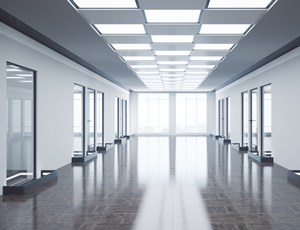 The prescriptive and custom lighting efficiency programs cannot be used in conjunction for the same fixtures with the exception for the installation of occupancy sensors. Existing lighting system equipment must be removed or decommissioned and rendered permanently inoperable to the satisfaction of the NPPD Energy Efficiency Consultant. Technical Specifications of all proposed lighting fixtures must be provided prior to pre-approval. Schematic layouts of proposed lighting upgrades with foot-candles identified must be provided before pre-approval can be provided. Proposed lighting levels must be within 20% of the Illuminating Engineering Society of North America’s recommendations for like spaces.